LongIsland.com’s February 2018 Family Fun Guide: Festivals & Fairs, Black History Month, Valentine's Day, Super Bowl Parties & More! 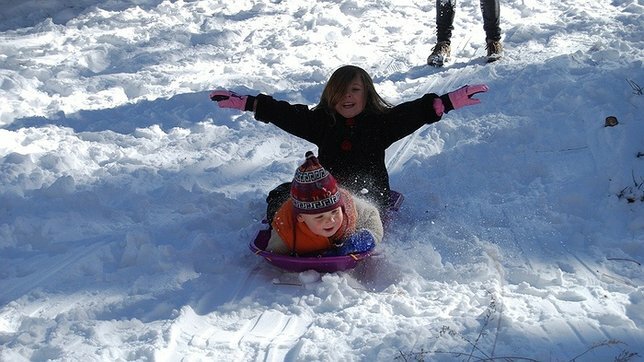 Sledding is easily one of the winter's most enjoyable activities for all ages! As Long Island heads straight into the center of winter, one might think that chilly temperatures and snow would decrease the number of local events. On the contrary, February is shaping up to be a month packed to the brim with fantastic family events and seasonal entertainment! A variety of Fairs, Festivals, and Fun Events cover everything from town-organized gatherings to small fairs, providing Long Islanders with plenty of reasons to leave home and embrace the season. Plus, staying warm will be as easy as heading to one of many Concerts and Performances happening this month and cheering on your favorite act. Though it is the shortest month of the year, February has a surprising number of holidays and special events packed into just 28 days, including a variety of family events throughout the month to celebrate Black History Month. In terms of single-day holidays, the fun begins on February 2nd with Groundhog Day, and Long Islanders will be gathering at local parks to get predictions from local favorites like Holtsville Hal and Malverne Mel! The Super Bowl kicks off on February 4th, and though the New York Giants and New York Jets won't be participating, there are still some great celebrations planned at local bars and restaurants! Love will absolutely be in the air on February 14th for Valentine's Day, and venues across the island will be providing the settings for romantic evenings for local couples. With all of these holidays and events to enjoy in just four short weeks, there is no time to delay! Check out our guide below for a look at what's in store for Nassau and Suffolk in February! It may be one of the chilliest months of the year, but February has plenty of Fairs and Festivals to keep everyone active! Here are some events, both indoors and outdoors, that Long Islanders can look forward to attending. Re-Opening on March 3rd For An Exciting 2018 Season! 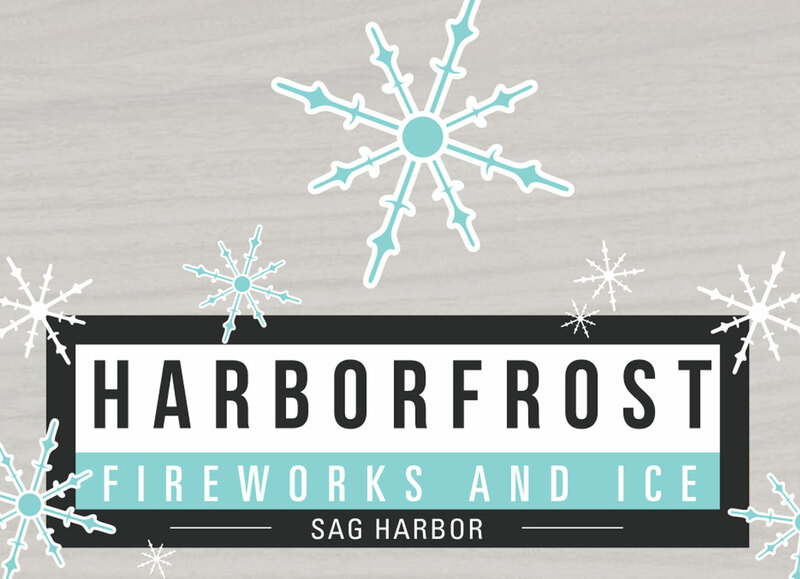 Harborfrost at Sag Harbor Village - FREE! A beloved winter tradition in Sag Harbor, Harborfest boasts a full day of family entertainment. From the plunge at Windmill Beach to benefit the Sag Harbor Volunteer Ambulance Corps, to ice carving demonstations, the day will be packed with activities until Grucci's fireworks finale over the harbor. Valentine’s Day Celebration at Walt Whitman Shops - FREE! Walt Whitman Shops' retailers will be in the mall's center court for an afternoon of family activities and to help shoppers with Valentine's Day purchases. Valentines Craft & Gift Show at Broadway Commons - FREE! Held in the center court of Broadway Commons, this Valentine's show will gather a number of local vendors for a show of handcrafted and unique gifts. Over 100 delicious beers will be available for tasting at Hops & Props, an event that is beloved by beer enthusiasts across Long Island! The Lynbrook Valentine's Gift & Craft Show at New York Elks Lodge #1 - FREE! 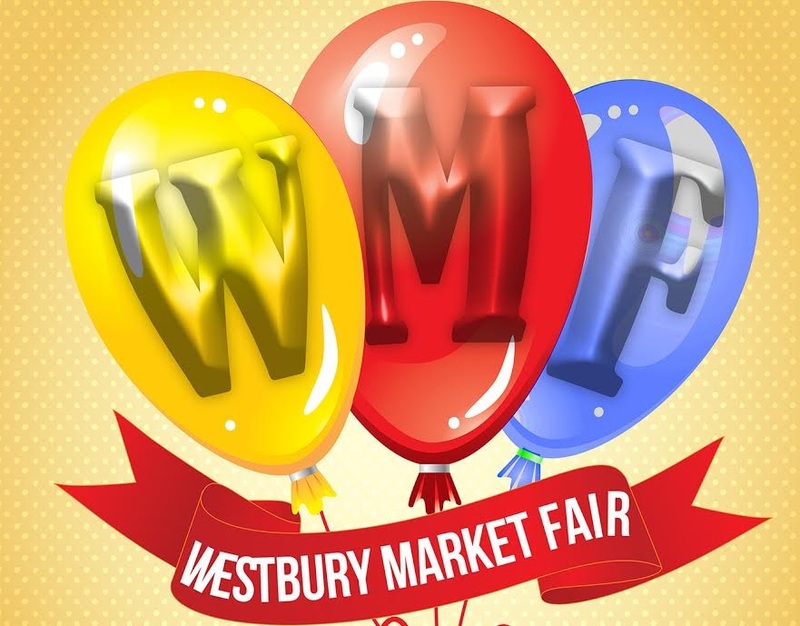 Dozens of vendors and artisans will be at The Lynbrook Valentine's Gift & Craft Show to provide shoppers with a wide array of handcrafted merchandise and one-of-a-kind gifts. Gourmet Food & Handmade Market at Simplay - FREE! Whether you're looking for tasty treats, fresh vegetables, or unique design pieces for the home, the Gourmet Food & Handmade Market at Simplay is the place to shop at this February. Gourmet Food & Handmade Market at Bethpage Village Restoration - FREE! Local vendors will be at Bethpage Village Restoration to offer a plentiful selection of pickles, gluten free products, spices, jewelry, crafts, and countless other goods. Chinese cuisine tasting, live dance and folk music performances, and crafting activities will all be featured at this special Lunar New Year event at Tilles Center. Antiques, Collectibles & Everything Vintage Appraisal Day at Remember Yesteryears- FREE! Those looking to have antiques and unique items appraised are invited to Remember Yesteryears special appraisal event in Oakdale. 121 miles from end-to-end ensures that there is plenty of fishing to be enjoyed on Long Island, and local fishing enthusiasts will be able to learn about new equipment at the AllPro Fishing Expo on February 25th. The Philadelphia Eagles and New England Patriots may not be New York teams, but there are still some great times to be had this Super Bowl Sunday whether at a bar or family-oriented event! With an all-inclusive package that includes unlimited draft beer and wine, as well as a half time buffet, Farmingdale's Library Cafe is the place to be to watch the Philadelphia Eagles face off against the New England Patriots. Kids' Super Bowl "Saturday" at Emma Clark Library - FREE! Emma Clark Library's Children's Department will come alive with bean bag toss games and paper flick football to get everyone in the football spirit. Combining a hustle and salsa dance party with a super bowl party, The Winner's Circle will be the place for music and football this Super Bowl Sunday. Open to all ages, this singles gathering is an excellent way to spend Super Bowl Sunday with some new friends. Big screen TVs and plenty of snacks will provide the basis for a memorable Super Bowl party in Deer Park. 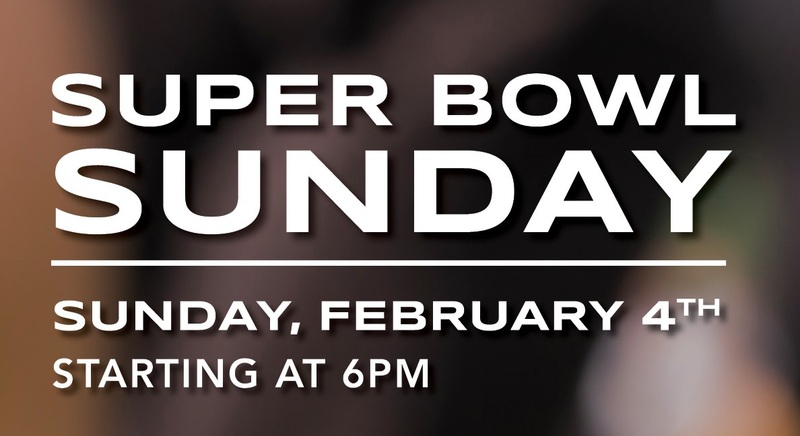 A half time buffet and unlimited draft beer and wine are two of the primary reasons to spend Super Bowl Sunday at Southside Bar & Restaurant. Will spring be coming early this year or is winter here to stay? Thankfully, with a number of local groundhogs, we will all know soon enough! There are also some great events that will allow children to learn about groundhogs and create crafts that will be treasured! 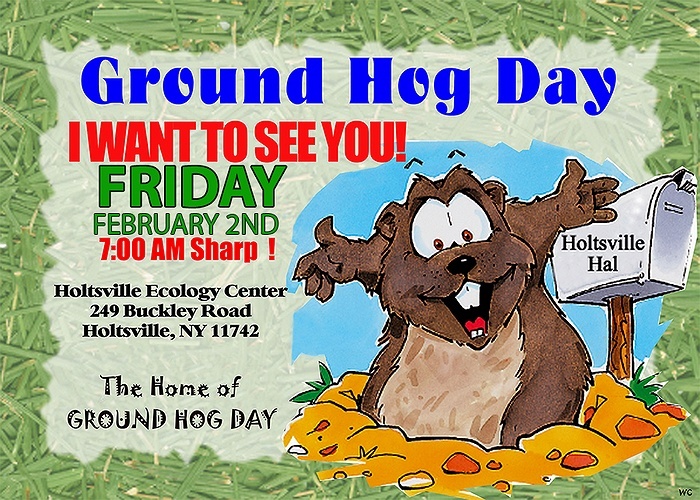 Groundhog Day with Holtsville Hal at Holtsville Ecology Site - FREE! Holtsville Hal will be making his highly-anticipated appearance at the Holtsville Ecology Center on Groundhog Day! Find out if winter has just begun or if spring will be coming early! 23rd Annual Groundhog Celebration with Malverne Mel at Gazebo Park - FREE! 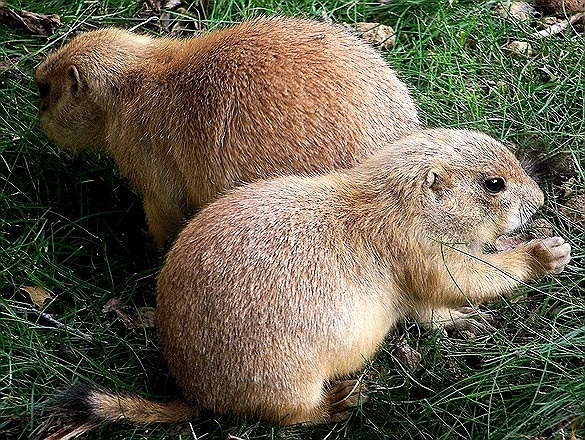 Sponsored by the Village of Malverne and the Malverne Civic Assosciation, this yearly celebration is centered around everyone's favorite groundhog, Malverne Mel. Head to Half Hollow Hills Community Library for a celebration of groundhogs that is open to children ages 3-5. Children ages 5-8 are invited to mke a pop-up craft and enjoy a special story in celebration of Groundhog Day. Chuck the Groundhog has a success rate of over 80% with his predictions, so he'll be a key groundhog to look out for this year! There will be two sessions, ones for grades K-2 and 3-6, that will allow children to celebrate Groundhog Day with wonderful crafts. Groundhog Day Fun at Longwood Public Library - FREE! Children will learn about groundhogs in this interactive blend of art and story at Longwood Public Library. Featuring both options for elegant evenings and casual dinners, Long Island venues will be hosting Valentine's Day events perfect for every couple! It certainly won't be difficult to notice the love in the air while enjoying some mouthwatering specialties! Grilled Scottish salmon, root beer braised short ribs, and black peper crusted filet mignon are just some of the moutwatering entrees that VIEW will be serving up for couples on Valentine's Day. 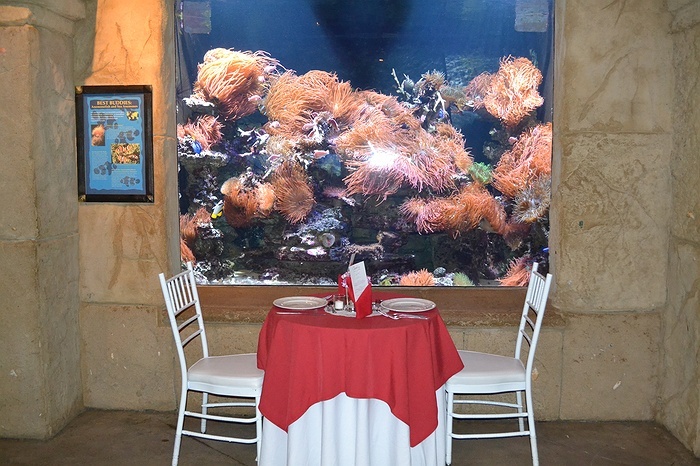 The Long Island Aquarium knows that there probably isn't a netter way to spend Valentine's Day than with wine and chocolate, so they have combined the two and featured them in a delectable five-course dinner. Celebrate Valentine's Day with your special someone by indulging in an extensive menu of appetizers, entrees, and desserts at Sandbar in Cold Spring Harbor. A three-course romantic dinner will be waiting to be enjoyed by couples this Valentine's Day at Desmond's. Choose from entrees like veal chops, herb roasted chicken breast, and double cut pork chops. Featuring delicious dishes like Chilean sea bass and organic seared sea scallops, Jonathan’s Ristorante's special Valentine's Day menu is perfect for a special evening in Huntington. Those who haven't found their special someone yet can have a great Valentine's Day at Croxley's Ale House thanks to an organized gathering by 7-in-Heaven. Sapphire Yacht Charters will be taking Long Islanders on a relaxing evening cruise complete with unlimited champagne, dancing, desserts, DJ entertainment, and plenty of other things to look forward to. A four-hour premium bar and music by Long Island Sound Entertainment will ensure that attendees to East Wind Long Island's Valentine's Day dinner dance will be entertained throughout the night. 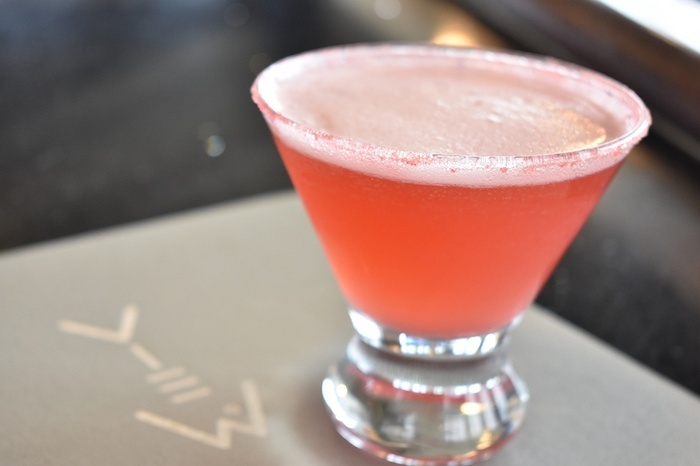 Enjoy delicious cocktails while you are guided through the steps of creating a work of art by a true professional. Mirabelle Restaurant and Mirabelle Tavern at the Three Village Inn will be offering a special prix fixe menu for Valentine's Day complete with dishes like grilled aged strip steak, maple glazed duck breast, and lobster ravioli. Throughout the month of February, Long Islanders celebrate the contributions that African Americans have made to our society. A selection of educational events and musical performances will allow participants to reflect on the influential figures in our history and understand the essential impact of their work and sacrificies. 27th Annual Black History Month Celebration at Brookhaven Town Hall - FREE! Each year, The Town of Brookhaven Black History Month Commission presents a special celebration for the public in honor of Black History Month at Brookhaven Town Hall. The Don Hanson Quartet - Black History Month Concert at Hempstead Public Library - FREE! The Don Hanson Quartet will be performing their unique take on jazz music at Hempstead Public Library during this Black History Month event. 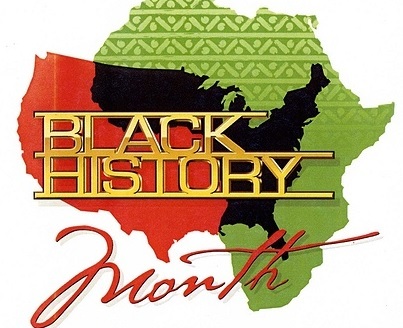 Black History Month Celebration at Half Hollow Hills Community Library - FREE! The Mothers Club of Wheatley Heights, Concerned Fathers Association and Half Hollow Hills Community LibraryMothers Club of Wheatley Heights, Concerned Fathers Association, and Half Hollow Hills Community Library will join together to present this special program featuring music and poetry. 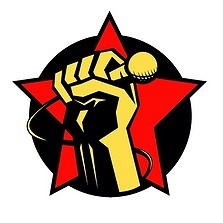 Black History Month Documentary Screening: Hip Hop Evolution at Hempstead Public Library - FREE! The first two episodes of Hip Hop Evolution will be screened, providing audiences with a fascinating look at the history of the music genre. KG Group Entertainment Honors Black History Month at Hempstead Public Library - FREE! Uniondale High School alumni will celebrate Black History Month with a special program of songs, tributes, poetry, and dance. Moving to the beat of the music is an excellent way to stay warm on those chilly February nights. Thankfully, a number of great local and national acts will be performing at local venues throughout the month! Enjoy a night of acoustic covers by Good Heart, including everything from Led Zeppelin and The Beatles, to Neil Young and Billy Joel. Back for a third year, the SingStrong International A Cappella Music Festival will feature five concerts, two days of classes, and a silent auction for charity. 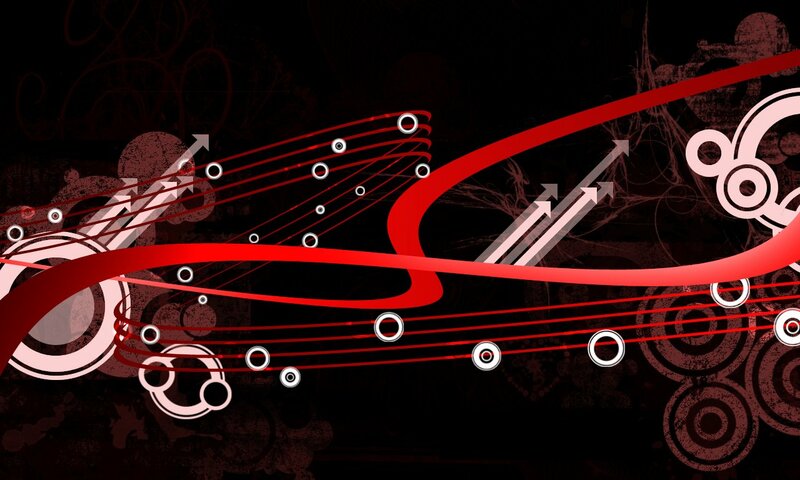 Sam and Dennis of the Mystic will be performing unplugged at Parlay Gastropub every Thursday in February. Bay Street Theater and Sag Harbor Center for the Arts will be the place for an unforgettable night of Billy Joel and Jerry Lewis classics performed by Lee Alverson and Band. Vito Genna will be performing at Mesita while diners enjoy 1/2 priced beer and wine, appetizer specials, and $5 margaritas. Mike DelGuidice and Big Shot will be performing their unbelievably faithful renditions of Billy Joel tunes at Mulcahy's in Wantagh. Celebrate the music and life of Tom Petty at The Paramount during this special evening with Even The Losers. Five lead vocalists will perform the music of Sinatra, Joan Jett, Prince, Bon Jovi, Journey, and plenty of others. A celebration of awkwardness and Valentine's Days gone wrong, the Mortified Doomed Valentine's Day Show promises to be a fascinating night of storytelling. Enjoy a night of Three Dog Night and Doobie Brothers music at The Space At Westbury during this tribute show. Mixing French Chanson and Golden Age swing, La Vie En Rose Band will provide an evening of irresistible dance music at Planting Fields. Whether your jam is Livin' On A Prayer or Don't Stop Believin', there will be plenty of foot-tapping songs played during this special night of rock music. The beloved story of Cinderella will be brought to life at this family-friendly live show at YMCA Boulton Center in Bay Shore. The Musical Box, a renowned tribute to Genesis, will be playing classic tunes from throughout the iconic band's catalogue. Subject: LongIsland.com - Your Name sent you Article details of "LongIsland.com’s February 2018 Family Fun Guide: Festivals & Fairs, Black History Month, Valentine's Day, Super Bowl Parties & More!"